It’s a very SPECIAL day on It Takes Two! 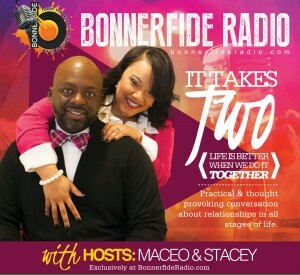 Hosts Maceo and Stacey announce the conclusion of this groundbreaking show. In so doing, they welcome Bonnerfide Radio program director Gerard Bonner to the show and together, they relive some of their favorite moments from their 5 year tenure. Find out how the show began, lessons learned, and never before shared details about the show from the hosts and creators of the show. 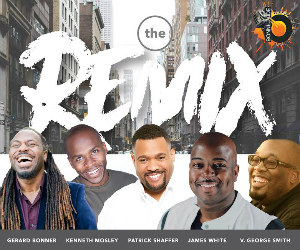 Check out music from Kirk Franklin, The Walls Group, PJ Morton, and more. This entry was posted in It Takes Two, Podcasts and tagged Gerard Bonner, It Takes Two, Kirk Franklin, Maceo and Stacey, Maceo Harris, PJ Morton, Stacey Joseph Harris, The Walls Group. Bookmark the permalink. Trackbacks are closed, but you can post a comment.